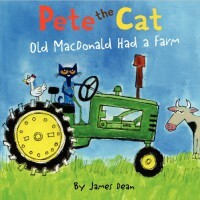 Awesome little Pete the Cat book where you can sing the Old MacDonald song with all different kinds of animals with pictures of each animal. Great way to introduce different animals in the classroom. I think it would be best for Kindergarten.